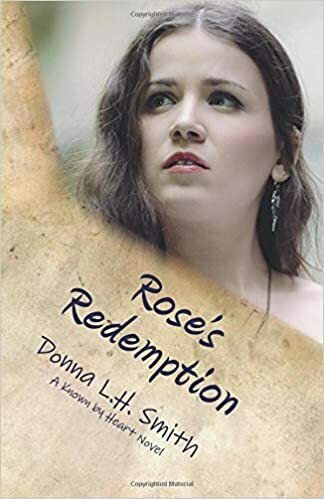 Rose’s Redemption is the new release by Donna L.H. Smith, and the second book of the “Known by Heart” series. The first book was Meghan’s Choice, and you can read my review of that book here. The story setting is still the old western town of New Boston, where Meghan’s Choice also was set. As a matter of fact, Meghan and the main character, Rose, of Rose’s Redemption, are friends–a friendship that began in the first book. Rose has had a very difficult life, and in Rose’s Redemption, those difficulties aren’t over. As she tries to change her life for the better and begins to hope that she could have real love, someone from her past comes back to find her. I enjoyed Rose’s Redemption very much. Though, in Meghan’s Choice, Dr. Scott Allison was not my favorite character, he redeems himself in Rose’s Redemption, and he plays a big part in the new life Rose tries to make for herself. Meghan and the characters from Meghan’s Choice still played a part in this story as well, so as a reader, I got to know them all better. The characters in Rose’s Redemption are well-developed and I enjoyed meeting some new characters in New Boston in this installment of the “Known by Heart” series. I really like Rose and rooted for her the whole way through the book. The story’s conflict was also well written, better than the conflict in Meghan’s Choice. I found the conflict in Rose’s Redemption to be more intense and realistic, and it kept me turning pages. Donna L.H. Smith also had an interesting way of having some of her character’s experience God that drew them to Him. It was tastefully done and not preachy nor was it overdone. I don’t think someone who prefers not to read Christian novels would be offended or find it overbearing. Donna L.H. Smith’s writing is stronger in Rose’s Redemption and she did a much better job of developing her characters and making me like them and care about them. She also included some subtle hints as to what may come in the next book, and I look forward to reading it. If you enjoy stories with an old western setting, intense conflict, and sweet romance, I hope you will read Rose’s Redemption too. A Talent for Trouble is the third book in a trilogy known as “Ladies of Distinction” by Jen Turano. However, I have not read the first book. I previously read and did a review of book two A Most Peculiar Circumstance here. Therefore, I can attest to the fact that, though they are part of a trilogy, you can certainly read any of them as stand alones and not feel lost. 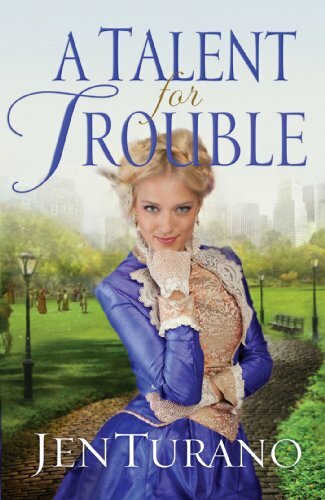 A Talent for Trouble is a light-hearted, fun historical romance about Felicia Murdock who is concerned about being single and in her mid twenties. She sets her sights on becoming a minister’s wife and pretends to be something she’s not in hopes of impressing the minister. When things do not go according to her plan, she decides she’s wasted too much time pretending and is determined to be her true self and embrace a more lively way of life, and in so doing, finds herself in one troubling circumstance after another. Grayson Sumner, otherwise known as Lord Sefton, soon finds himself attracted to Felicia, but becomes frustrated with her knack for stumbling into trouble. Then his past comes back to complicate his life and places Felicia in danger as well. Grayson is determined to keep Felicia safe as they struggle to extricate themselves from the latest trouble. Felicia is a fun character and as her relationship with Grayson developed, they made me laugh out loud. Their troubling situations go from mild to quite scary and I found myself cheering for them while sitting on the edge of my seat. This was a very enjoyable read. My son and I finished the “Wars of the Realm” trilogy just before our Christmas break. 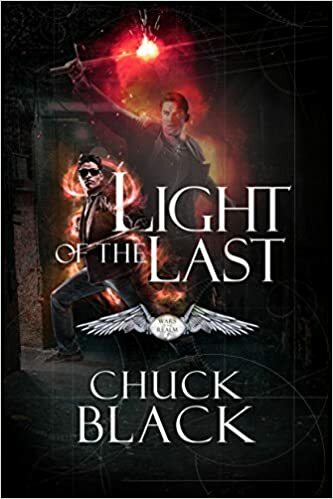 Light of the Last is the final book of this trilogy by Chuck Black, and I found it to be just as good as the first two. Drew has come to his limit. He just wants his normal life back, but there is a higher plan. Those who have been assigned to keep Drew safe have their hands full as Drew is the target of two different powerful forces. When it becomes apparent that the United States is also a target, Drew and his friends may be the only ones who can save the day. The things that Drew goes through in this trilogy really kept me turning pages. Chuck Black did an excellent job of weaving parts of history and believable political issues throughout this series, as well as some spiritual truths. I was so involved in the story and cared so much about the characters that I spoke out in frustration at some of Drew’s choices, and I cried at some of the sad scenes. I loved the characters in this series and I cheered for them through all three books. There was suspense, intrigue, adventure, danger, and a touch of romance in these books, and I highly recommend them. They are on my list of favorites. Another great historical story from J.P. Robinson! In the Shadow of Your Wings moves between characters in Germany and Great Britain during war time. Leila Durand is a German spy with a troubled past who falls in love with Malcom, the son of Thomas Steele, a British icon, whose home she is to infiltrate. She struggles between her love for Germany and her love for an enemy of Germany, and trouble seems to follow her wherever she goes. Eleanor Thompson is a woman of faith, but her faith is pushed to its very limits when her infant daughter is killed in a German air raid after her husband has gone off to fight in the war. However, Eleanor doesn’t give up on life as she remains hopeful to reunite with her husband when the war is over, but he doesn’t answer any of her letters. As she sees the horrors of war, she begins to lose hope, yet stubbornly clings to her faith. J.P. Robinson weaves a tale of intrigue and history as these characters’ lives intertwine in unexpected ways. There is also a German family that takes center stage in some chapters. This book shows the heartbreak of war and the struggle for faith. It is my favorite of Mr. Robinson’s book so far. I highly recommend this book to anyone who loves historical fiction that includes intrigue and suspense. 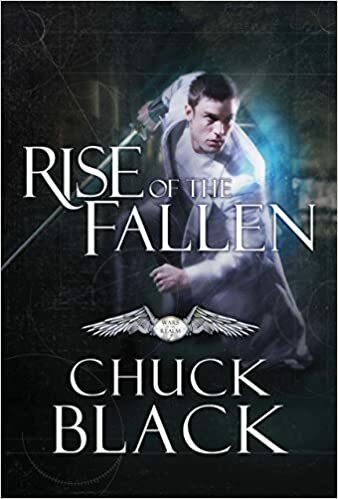 Rise of the Fallen is the second book in the “War of the Realm” series by Chuck Black. In the first book, we met Drew Carter who appeared to be an average teen until there was an accident in a college science lab. Now, in Rise of the Fallen, Chuck takes us deep into the spiritual realm, where everyone in this realm is wondering “why is Drew Carter so important”? This book takes us way back in history in every other chapter and then back to the present day in every other chapter. It’s a story of history, battles, and wars, as well as looking at the main events of Drew Carter’s life from a different perspective. This book was a surprise to me. 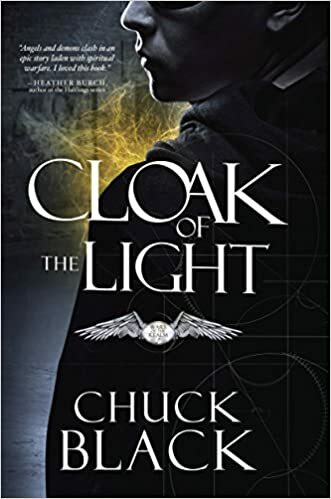 After reading Cloak of the Light, I wasn’t expecting the twist that this story brings to the series, but I was hooked from the first page to the very last. 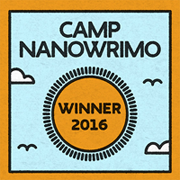 This story is filled with history and suspense. I can’t wait to begin the final book in the series, Light of the Last. I look forward to seeing what twists Mr. Black has for me in this one. If you enjoy fantasy and suspense stories, you’ll enjoy the first two books of this series. Also, if you wonder about the spiritual realm and like to mentally explore the possibilities, you’ll love Rise of the Fallen. After those two, I’m sure you won’t be able to resist the final book in the “War of the Realm” series. These are great books for YA boys! The third book in “The Seven Words” series by C.S. Wachter is now available on Amazon in both ebook and print forms. If you haven’t read any of the books in this series yet, you don’t know what you’re missing. These stories are filled with lots of action and plenty of good and evil. In The Deceit of Darkness, Rayne’s trials continue, but as the One’s Light Bringer, he manages to bring light to Veres, even though he is a “Wanted” man–wanted for a crime he did not commit. 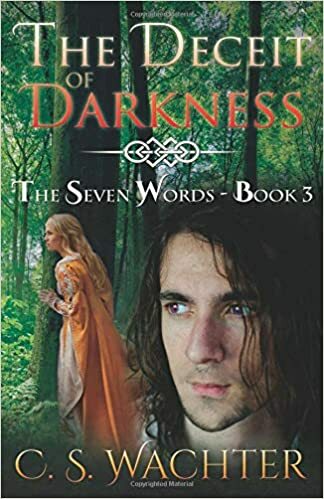 As his friends help him get from Veres to Amathea, Travis, a man from the dark part of Rayne’s past, joins them as Rayne’s quest for the scrolls continues. Throughout the journey, the relationship between Rayne and Lexi grows. Also, new foes, as well as a very dark old one threatens. Will Rayne be able to bring the Light to all of Ochen or will the dark threat of evil stop him? C.S. Wachter leaves a bit of a cliffhanger at the end of this book–one that, once again, breaks my heart for Rayne. Will he be able to convince his friends to help him now that this new challenge has arisen? I certainly hope so, but I’ll have to wait for the next book to find out! This series by C.S. Wachter is quite the roller coaster ride. It keeps me turning pages and cheering for Rayne from beginning to end of each of the books. I do not grow bored or weary of the characters or the plot line as C.S. Wachter has definitely learned how to set conflict in motion in her stories to create huge mountains for her main character to struggle to climb. If you’re a fan of fantasy/speculative fiction, I highly recommend these books to you if you are a young adult or adult, but I will warn you: if you choose to read these books, you will most likely lose sleep until you reach the end of each book because you won’t be able to put it down.